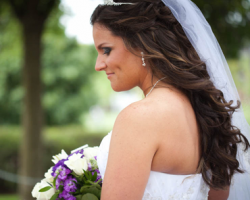 Hair By Nonia is a company that can provide you and your entire bridal party with flawless wedding hair and makeup on the big day. The best thing about working with this company is that they have a clear list of their services and all of the prices too. Rather than buying a package with services you may not need or want, you can pick and choose to have a trial run of the hair and makeup or simply have a basic look applied on the day. When you are looking for the best makeup artist in Columbus, OH to complete your bridal makeup, look no further than Blake Rose Salon. This company has talented professionals that offer everyday makeup application as well as services that are specific to weddings. You will discuss the look you are trying to achieve and the artists will make it happen as you sit back, relax and enjoy the occasion. This is something that makes hiring this company an even easier decision. The only way to be sure your bridal makeup will last and really feel like permanent makeup is to have it applied by the professionals at Chenese Bean Makeup Artistry. This company has a team of experts with the experience and the talent to provide you with a look that will make you feel beautiful and confident as you walk down the aisle and celebrate the life you have in front of you. Flawless beauty and customer service are guaranteed from this company. The Columbus Traveling Beauty Team has been recognized throughout the state of Ohio for their talents as beauty professionals. As Columbus makeup artists, these experts have developed a set of services that are specific to the needs of a bride and her bridal party. You can request services that range from full-face application to expert tattoo covering that won’t tint the dress. In any case, you can be absolutely sure you will only be working with the most experienced professionals in the business. Mukha is a beauty salon that offers beauty products and services that are perfect for any special occasion or event like a wedding. This company is the home of highly trained professional makeup artists and skin care experts. 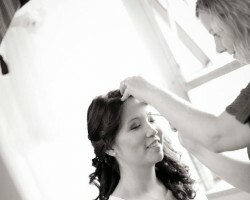 This team is there whenever you need them to apply perfect bridal looks at affordable rates. According to reviews, the skill of this team and the quality of the products they use make choosing their services a clear choice for any bride and her party.